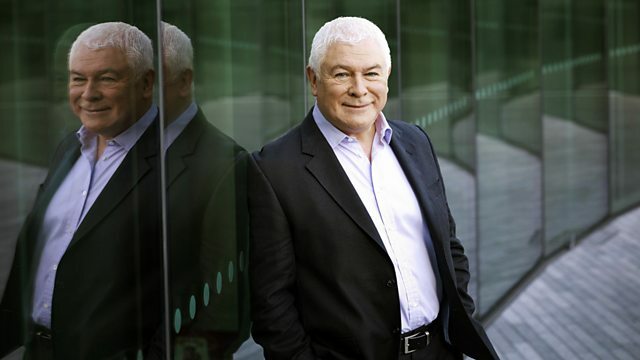 Sean Rafferty's guests include jazz singer Emily Dankworth, who performs live with Guildhall students and her double-bassist father Alec. Plus music from baritone William Berger. Sean Rafferty's guests include the latest member of the famous Dankworth dynasty to be making a stir: jazz singer Emily Dankworth, currently studying at the Guildhall School of Music and Drama, will be performing live in the studio with fellow Guildhall School of Music and Drama students and double-bassist father Alec. Live music from baritone William Berger, and the Salzburg Festival's Artistic Director Alexander Pereira will talk to Sean about the challenges which lie ahead as he takes over the reins at La Scala. Conductor: Valery Gergiev. Performer: Lang Lang. Performer: Mariinsky Theatre Orchestra. Composer: Johnny Green. Performer: Alec Dankworth. Performer: Emily Dankworth. Conductor: Richard Egarr. Performer: Academy of Ancient Music. Performer: Alec Dankworth. Performer: Emily Dankworth. Conductor: David Parry. Performer: Philharmonia Orchestra. Conductor: Nicholas McGegan. Performer: Carolyn Sampson. Performer: William Berger. Performer: Scottish Chamber Orchestra. Performer: Nico De Villiers. Performer: William Berger. Conductor: Peter Phillips. Performer: Tallis Scholars. Conductor: Nicholas McGegan. Performer: William Berger. Performer: Scottish Chamber Orchestra. Conductor: Nicholas McGegan. Performer: William Berger. Performer: Gottingen Festival Ensemble. Performer: North German Radio Choir. Conductor: Claudio Abbado. Performer: Arnold Schönberg Chor. Performer: Chamber Orchestra of Europe. Performer: Ailish Tynan. Performer: Iain Burnside.